Ask five women to tell you their earliest memory of a beauty product and we guarantee Avon will come up at least once. If you didn’t have a mother, aunt, or grandmother who sold the now cult-favorite beauty products, there’s a good chance a family friend or local salesperson convinced someone in your household to purchase one of those vibrant lipsticks (or a jumbo jug of Skin So Soft [$15, avon.com], which would go on to live on the ledge of your tub for a majority of your upbringing). And from the moment travel and beauty piqued our interest, we soon became intrigued by these Avon ladies. Beautiful women with impeccable skin and meticulous hairstyles who traveled around the neighborhood—and sometimes the country—to sell beauty products? For a living? Sounded like a dream career to us. And it still does. Nearly 125 years after the company was founded, Avon continues to employ millions of traveling saleswomen who trek across the globe to offer powerful products to women in over 95 countries. We had a chance to catch up with two of them—a California-based mother-daughter duo that’s happened to turn selling Avon products into a family business. Listen in on our chat with Ivanna and Sandra Diaz, here. 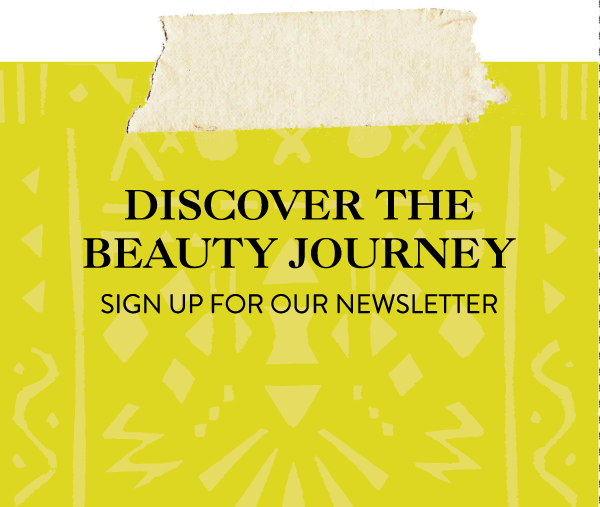 Around the World Beauty: How did you get your start with Avon? Sandra Diaz: I became involved in 1997 for three reasons: I had recently quit my job and could no longer afford skin care from high-end lines. I was also starving for some adult conversation as I interacted only with my two and four-year-olds for most of the day. And since leaving the work force, I discovered that my self-esteem was diminishing because I didn’t have a reason to get dressed and made up everyday. I knew all of that would change if I worked for a beauty company. Ivanna Diaz: My mom started selling when I was about four years old. I assisted her with book preparations, packing products , [hosting] events, and [creating] displays. She gave my sister and I goals, and would reward us with products from the brochures and movie nights for any short-term goals met—and trips to Disneyland for reaching bigger goals. I grew up in a home that was always filled with Avon so, naturally, I’ve always loved the products. Once I turned 18, I became an Avon representative and by the time I graduated college, I had a team of more than 50 representatives. I’ve experimented with other opportunities, however, these jobs were unstable and unfulfilling. I have now embraced being an Avon representative as my full-time career because I know there’s room to grow within a company that supports women’s financial independence and individuality. ATW Beauty: Sandra, was this your Plan A career goal? SD: When I started at Avon, I returned to college in hopes of becoming a teacher. But I soon learned that Avon already offers the best teaching experience! You’re teaching women various skills to be the best that they can be. That they can achieve it all with a dream, a plan, and fervent work. We teach [Avon representatives] how to positively affect women’s days with a smile, conversation, and lipstick! ATW Beauty: As an Avon rep, you must be quite the beauty gypsies! Has the company afforded you the opportunity to travel across the country? ID: Now that I am also a representative, I’ve been able to earn a few trips and visit places with my mom, including Puerto Rico and Orlando, FL. Usually when I travel, it’s for business so I try to pack products that are versatile. I bring the Mark. Hookups [$10] since they’re so compact, and Mark. Powder Buff Natural Skin Foundation [$14] for touch-ups. I always have at least two lipsticks in my bag for a pop of color that can be used for cheeks and lips. I also like to bring a pack of Avon Makeup Remover Wipes with Mineral Complex [$8]. ATW Beauty: What have you learned about women through your travels across the globe? SD: I’ve learned that women are very alike. We are a powerful unit with common needs. We need to be empowered and to uplift and celebrate each other! I’ve also learned that we can do the impossible by adding color to women’s lives through cosmetics or new relationships. ID: When I travel, I’ve noticed that almost everyone—both men and women—are familiar with the Skin So Soft Original Bath Oil! ATW Beauty: What do you love most about your job? SD: I love meeting new people and that no day is ever the same. I relish the freedom I have in being my own boss, and my earnings are a result of my efforts. I love that this opportunity challenges and encourages me to do more for myself by doing more for others through finding products for women based on their financial needs. Plus, it’s perfect for beauty lovers who enjoy traveling. Representatives get a free e-store that allows them to make money while we travel! ID: I love that everyone in this business is determined to spread the importance of inner beauty as well as enhancing your outer beauty. Avon has such a rich history, and the old soul in me cherishes that. At 23, I believe that when people see a Gen-Y girl [like me], they’re convinced that Avon isn’t just your grandmother’s makeup brand!